When Xi Jinping took control of the government of China in 2014, he methodically began to eliminate any outside influence that would have interfered with him becoming the modern emperor for life. Obviously, religion represented one of those potential interferences. Recently, the New York Times published an article entitled With Vatican Talks and Bulldozers, China Aims to Control Christianity. The article focused on the Chinese efforts to control the 60 million Christians in China. Christianity became fully established in China in the 16th century and continues to grow. There is a renewed resistance by the Government to contain the apparent growth by destroying the spires of Protestant churches to eliminate their visibility or even eliminating the churches entirely thereby driving the practice underground. Christianity posed a threat as it spread among white-collar professionals in China's largest cities and most prosperous regions. 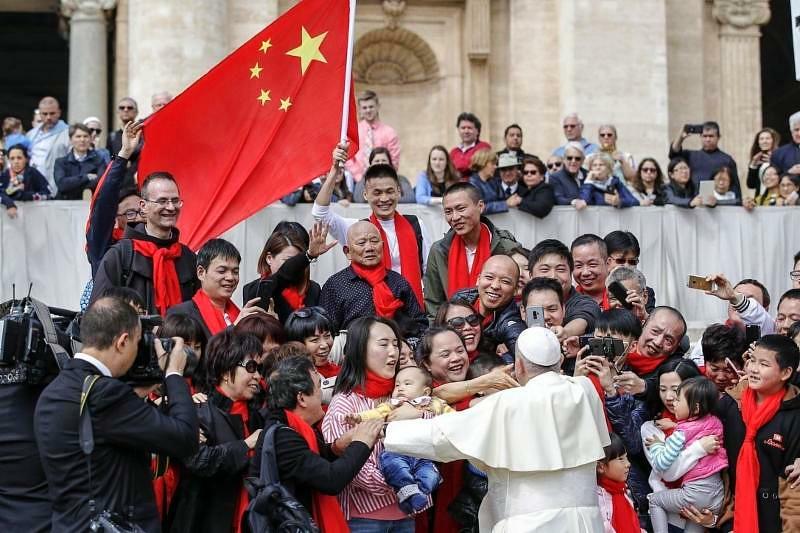 Therefore, it was surprising that the Chinese Government reached out to the Vatican to strike a deal which for the first time acknowledged the Pope's authority in Catholic churches in China. Catholics comprise some 10 million of the Christian population of China. The Pope recognized the legitimacy of seven bishops appointed by Beijing in exchange for a voice in the selection of future Chinese bishops. Heretofore, Chinese Catholics had to journey to the Vatican to interact with the Pope. However, do not hold your breath to see the "Pope-Mobile" in Beijing. If the Christians have had a rough go of it in China, the practitioners of Islam have been severely persecuted. The evident threat of controlling the ethnic minorities in western China has become a direct correlation between internal security and the need to eliminate religious freedom. 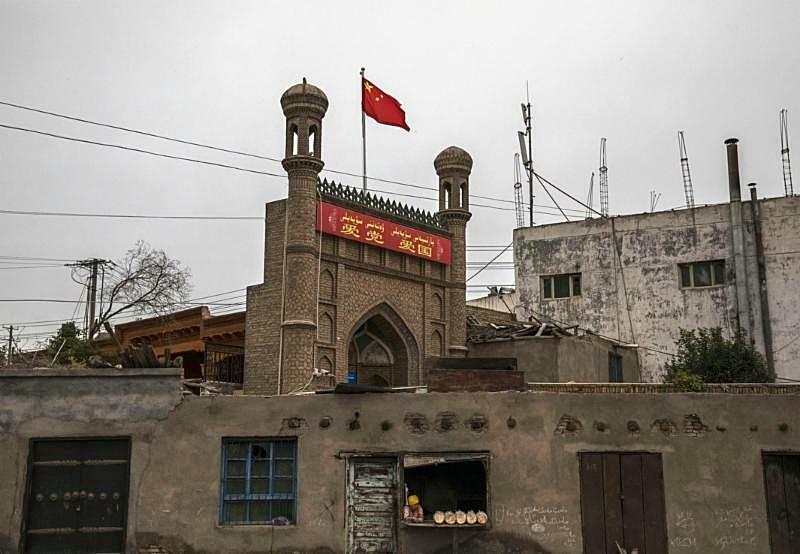 There is no mystery regarding the shuttered mosque flying the Chinese state flag shown below in Kashgar, located in the western China province of Xinjiang. With the Chinese people naturally seeking guidance on values in a period of rapid change from their traditional past, Emperor Xi has encouraged the growth of more passive practices such as Buddhism and Taoism. 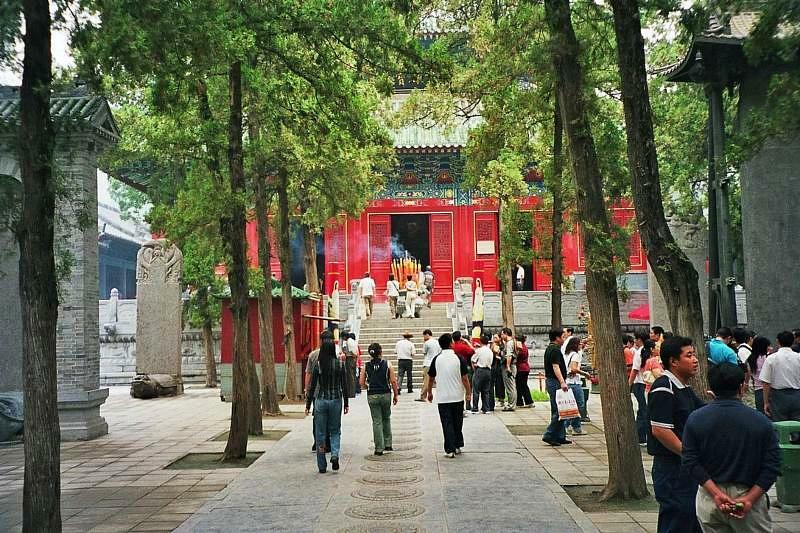 Recently, China's most famous Shaolin monastery was recognized as a historic landmark for the first time in its 1,500-year history. One would have to think long and hard to recall any holy wars involving Buddhism. Moreover, as Buddhism has been present in China for more than two thousand years, we could say it has withstood the test of time and even the great conquerors, the Khan family. Other than a period in the mid-sixties when the CIA led an operation to create para-military forces for an insurrection in Tibet, there has been little reason to relate the devout practice of Buddhism there with a potential threat to the Chinese government. 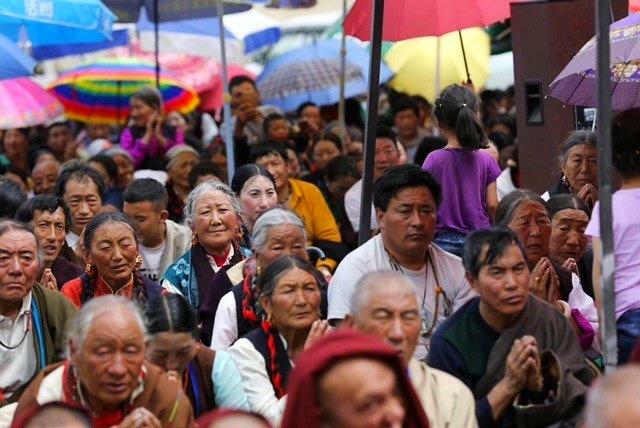 Moreover, the Chinese diluted the pure Tibetan nationality with hordes of Han Chinese forced into their community. Often sheer numbers can overcome most anything else. 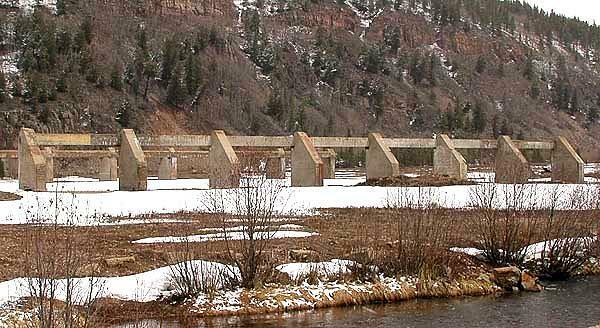 Interestingly, the CIA Tibetan training facility in Leadville, Colorado has not been well-maintained over the years. Therefore, the Chinese should have no fear in that regard. Accordingly, one would assume the control of Buddhist activities in Tibet would not be the greatest security concern of China. On the other hand, the ever-cautious Chinese have only recently begun to loosen up things a bit. 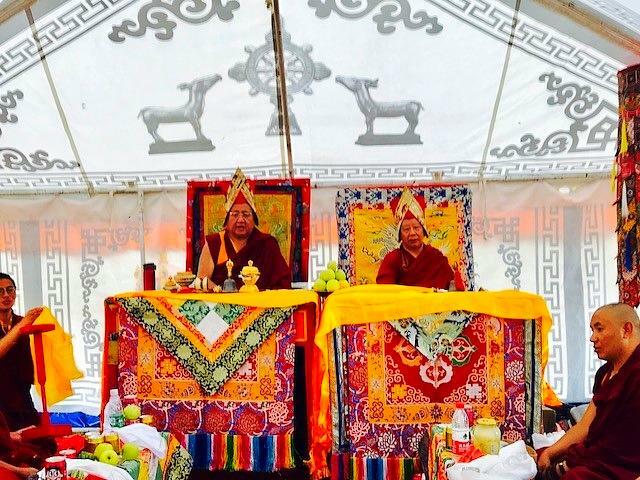 In the TES blog of July 16, 2018, we talked about our friend Mynak Tulku Rinpoche who lives in Bhutan and his efforts to restore his former Minyang Rikhud Monastery in Tibet to which we have given support. Not only is it very difficult for Mynak Tulku to obtain a visa to enter Tibet from which he fled in 1959, he must then obtain permission to visit his former monastery which is even more problematic. 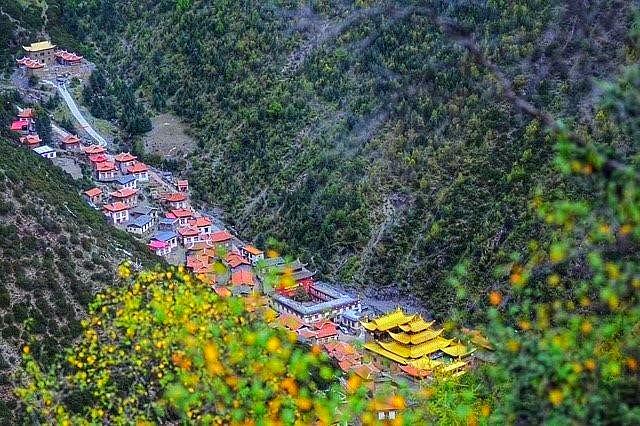 Mynak Tulku just returned from a trip there and was able to spend a few days in his monastery which may be a sign that the higher authorities are truly loosening the strings on Buddhist connections. Interestingly, the size of gatherings is limited by the Chinese as monks from one monastery are not able to join in the prayers of others. Therefore, the control feature is to limit large gatherings. 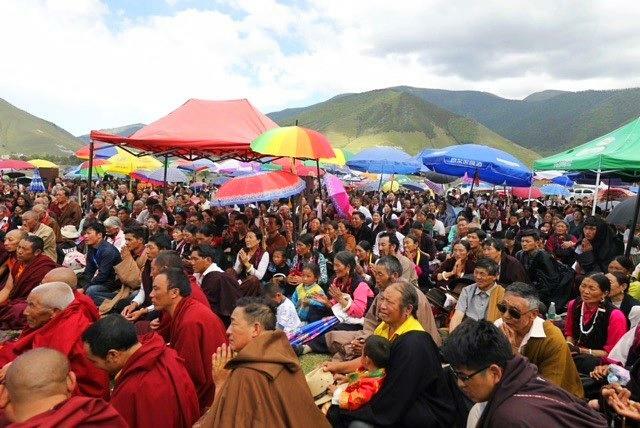 Nonetheless, Mynak Tulku was able to get extensions in time and visits to the monastery while conducting gatherings such as those shown below. 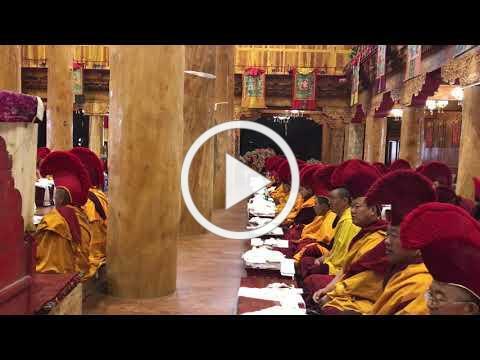 Moreover, he was able to have a day of prayer with 4,000 people including 200 monks from his monastery. The look on the peoples' faces speaks volumes. Also, do you see any similarity of the Tibetan faces to those of the American Indians? You should because their DNA is virtually the same. Lastly, it was good to see Mynak Tulku back home. There are a few takeaways from the above Tibetan bit. How many times do you lend a hand for a project so far away and then see evidence of the impact that it had on a remote community? You can see the serenity and compassion on the faces of the practitioners of the faith rather than the angst and anger we see daily in news broadcasts. 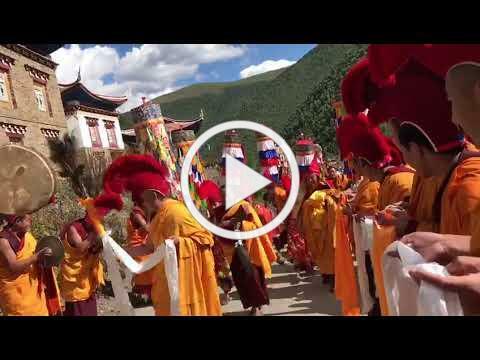 Click on the two videos below if you would like to see some brief footage of Mynak Tulku's arrival at the monastery and a prayer chanting held in the ceremonial hall. 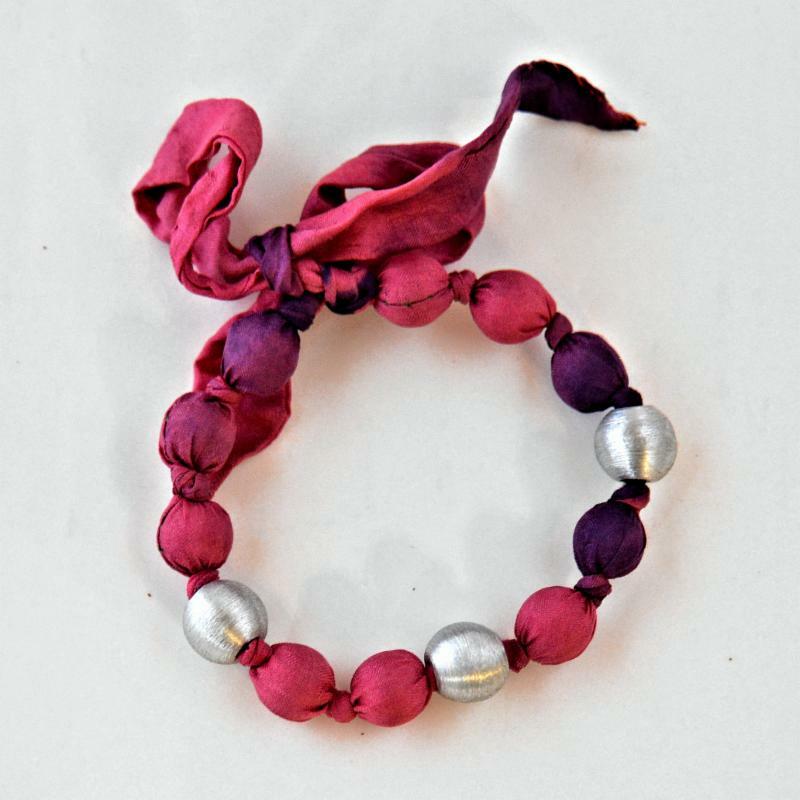 If you have an interest in lending Mynak Tulku a hand in the future, please contact us at The Elephant Story. 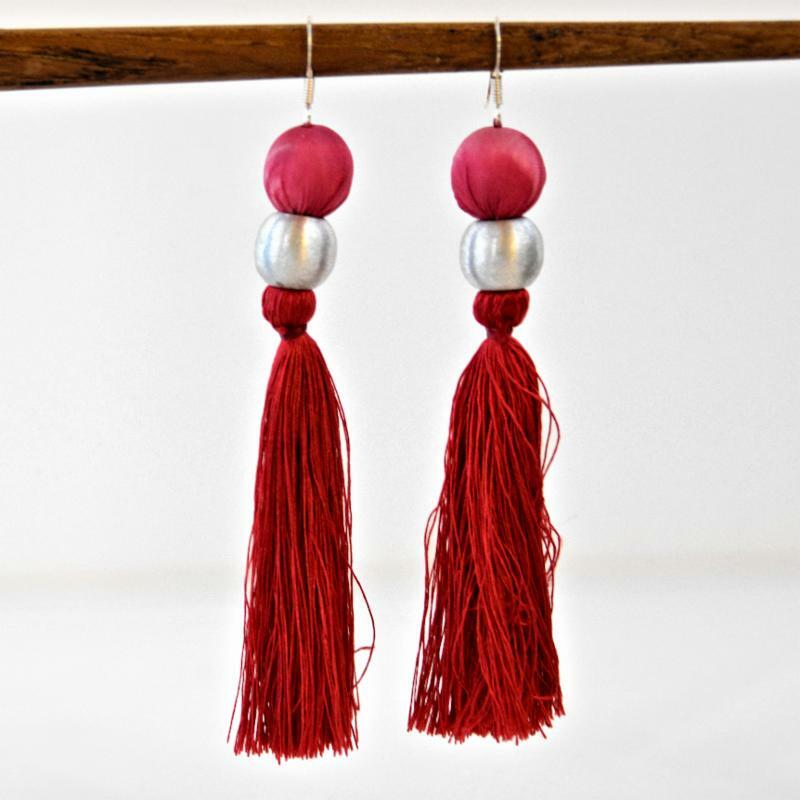 Take a look at these beautiful hand-made jewelry pieces created by women from approximately fifteen different ethnic groups. 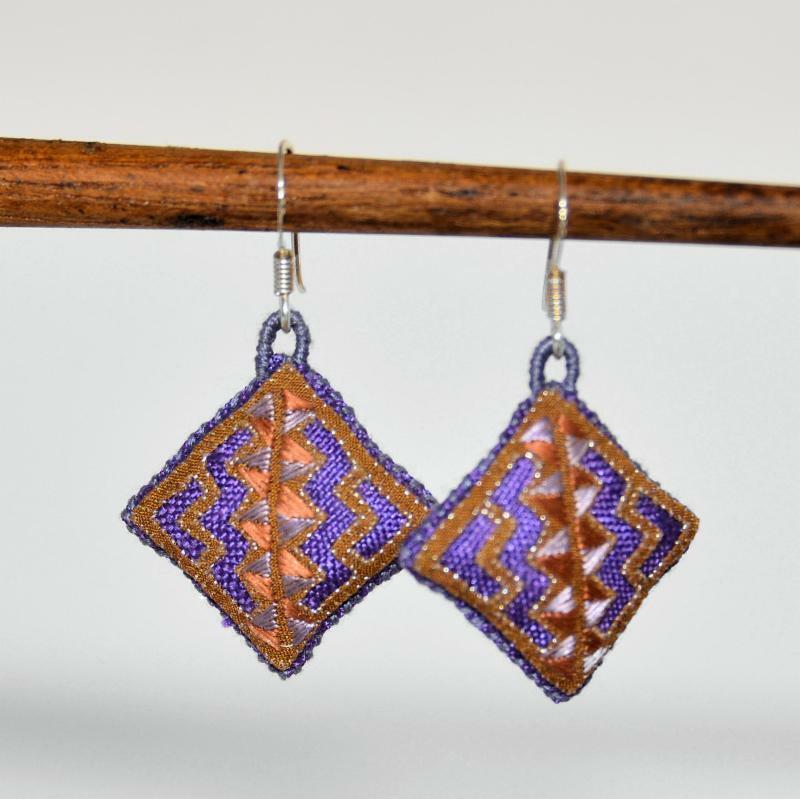 These creations help to support more than 500 women in villages throughout Laos. 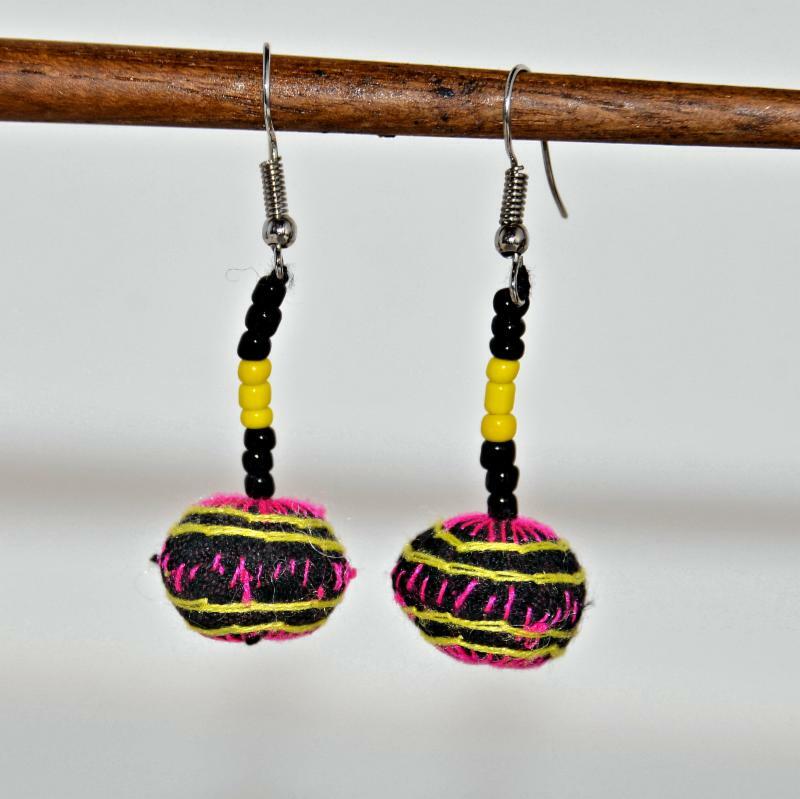 These creations help promote fair trade, tradition, collaboration between communities and help empower the women from these villages.